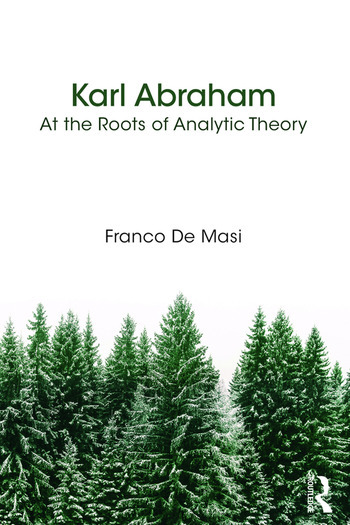 This book describes the life of Karl Abraham, his work in Zurich and Berlin, and his scientific relationship with Freud. Abraham wrote important papers which form the base of clinical psychoanalysis and analytic technique: transference, countertransference, narcissism, envy and childhood trauma. In particular, the book takes into account the contribution Abraham made to understanding the problem of mourning and melancholia, not only through his works dedicated to this topic but also with his contribution within the continuous and scientific communication with Freud, as documented in the Freud-Abraham correspondence (Karnac, 2002). In the final chapter, 'What Abraham could not understand', the book describes how, when Abraham read the manuscript of Mourning and Melancholia, he did not fully understand some passages of Freud’s text. He thought for a long time until he could envisage a solution to an unsolved problem - that of the way in which the patient succeeds in overcoming the mourning. This happens when the loved and lost object is reinstalled in his inner world, a very important concept in the Kleinian development. However, one thesis of the book is that some of Abraham’s ideas cannot be fully integrated into Melanie Klein’s theory, and differ from her conceptualization (for example, regarding the importance of the death drive), although they continue to have a current and original validity. Abraham is also important for the establishment of the Berlin Polyclinic and the creation of psychoanalytic training, which is still adopted by many psychoanalytic societies.